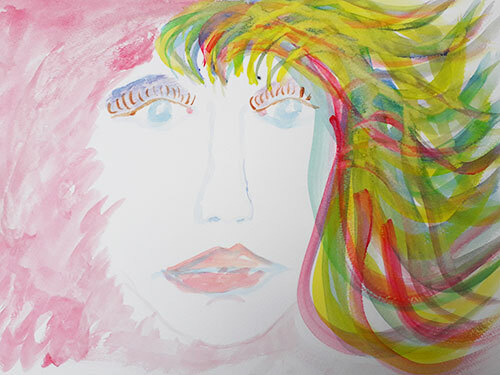 There is increasing recognition within the Irish mental health sector of the role that the arts and creativity can play in supporting a person’s recovery journey. 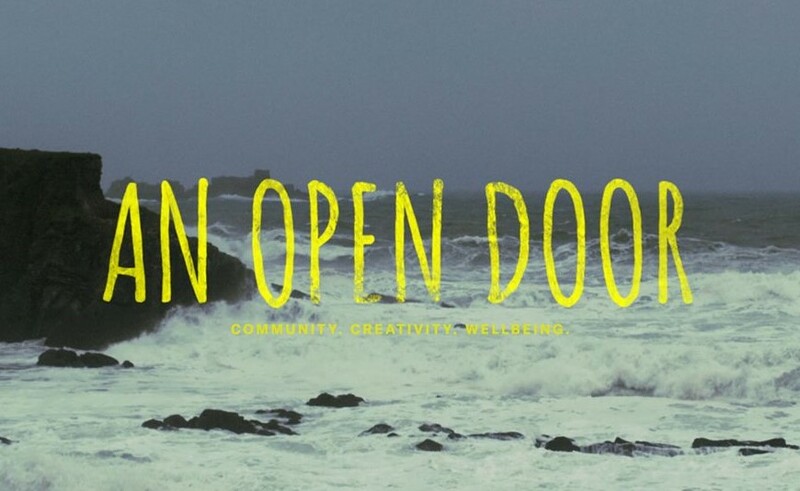 To find out what’s happening on the ground, artsandhealth.ie travelled to Skibbereen, home to 49 North Street, a dedicated creativity and wellness space serving communities in West Cork which was launched by Cork Mental Health Services in 2017. 49 North Street aims to create a space where learning, therapeutic activities, creative expression and diversity can flourish in a unique alchemy. 49 North Street is founded on an ethos of co-production coupled with a walk-the-walk recovery approach based on the values of care, compassion and commitment. The service is delivered in partnership with health professionals, artists, people in recovery and local communities. For our 2018 In Conversation series, we first talked to Declan McCarthy, who currently works as an Acting Assistant Director of Mental Health Nursing within the HSE’s Cork/Kerry Community Healthcare Organisation. Declan works as part of the wider mental health nursing team with Cork Mental Health Services and his remit currently covers areas in West Cork and South Lee. Declan spoke to us about the ethos of recovery-focused care, the role of the arts and creativity within this, and the shared leadership approach informing 49 North Street. Cork/Kerry Community Healthcare Organisation has been developing a culture of recovery-focused care within its mental health services. What does this entail? Recovery is a journey and it is essentially about being aware of the person, their story and narrative; not just the diagnosis, it’s listening and being guided by people about what is best for them. A paper published by Lydia Sapouna, ‘Beyond Diagnosis’, is of particular interest. We help each other by building relationships with each other, getting to know people, exploring their strengths. Not labelling and adding stigma. It’s a move away from this idea that ‘you have this; you’re going to have it for the rest of your life.’ As Dan Fisher [Director of the US National Empowerment Center] would say – It’s about giving hope and not taking that away. Recovery started with a movement towards human rights, led by people like Dan Fisher and Paddy McGowan [who founded the Irish Advocacy Network in 1999], both of whom I’ve had the privilege and honour of working with on projects. I was fortunate to be involved in a publication with Dan. Recovery is not a model, it’s an ethos/approach. It’s a way of working that sees the individual as the author and expert of themselves and their life/journey. The individual collaborates with the professional in terms of doing what we call a mutual care plan that we can work on together. It’s about creating a dialogue to understand what the person needs: This is what we can provide as a service and then looking at the service the person needs and creating a meeting point as Ken Wilber would say in his book No Boundary. ‘Okay, you need something that we haven’t got, how can we make that happen? Are your family involved?’ Is it about going back to work, getting a job, love and relationships? These are generally the foundations of anything that’s important for people. People want relationships, they want a sense of belonging and they want a sense of love and occupation where possible. And the recovery approach is a way of facilitating things that can help people enjoy those experiences in their life. There’s also a clinical side when sometimes unfortunately there may need to be another level of care, where people need to be hospitalised. Then we have statutory systems. The Mental Health Commission is the governing body that inspects our inpatient facilities yearly as in our admissions units, what are referred to as Approved Units. Our practice in mental health is guided by the many codes of conduct and Legislation Frameworks that govern practice like the Mental Health Act (2001) and Judgement Support Framework , Advancing Recovery in Ireland, and the six pillars of recovery . These are but a few and there are measures in place for recovery-orientated services. We have a support framework and this ensures our approved centres comply and give good outcomes in terms of recovery-focused care to people. Creativity has an integral role within that recovery-based approach and the implementation of a community-based arts and mental health programme has been very successful here. How did this incorporation of the arts within services come about? Historically the arts have always been a part of the life and soul and culture of Cork, and West Cork is particularly vibrant in the arts. My introduction to the arts came through Ann O’Connor [Arts Coordinator with the HSE in Cork from 2006-2009] . This was way back in 2005 and 2008 and I was working in Togher with a team to develop a day centre project. So back then I met with Ann and eventually with others and much dialogue was had introducing the arts alongside mental health. Mary Dineen, a Community Mental Health Nurse, was key to this venture. An Arts + Minds steering group was formed which colleagues of mine helped to drive . The City Links which I was involved in co-founding came out of those times, and there would have been a number of music projects as well. As a result of that, individuals would have met and collaborated, including Kevin O’Shanahan [Clinical Nurse Specialist and musician] who went onto specialise in arts and mental health. Kevin became a Clinical Nurse Specialist in the Arts and Mental Health in West Cork [in 2011]. That was the vision of the previous Director of West Cork Mental Health Services, Michael Bambrick, and the Area Director of Nursing now, Mr. Ned Kelly, has been instrumental in fully supporting me and others in a shared leadership approach in developing 49 North Street in Skibbereen. Pat Bracken, a consultant in West Cork, would have had a very pivotal role in developing this also, as would Priscilla Lynch, now the Head of Service Health and Wellbeing in Cork/Kerry HSE. North Street is a fantastic development with a walk the walk ethos. It doesn’t just talk the talk, it actually does support a recovery ethos in a special way. Some of this, to be analytical about it, was coincidence; however, I think people may refer to it in a more Jungian way as being synchronicity. It’s primarily about a team where a particular person is located and their particular passion, then when a number of people commit, communicate and collaborate, things start to happen. Jean Barron in Administration was also key as were the maintenance officers who helped us to prepare the building. Sinead Glennon, the Head of Service, supported this venture. So we’re fortunate to have Ned, Kevin, Jean, James and Peter in the area  and my job would be to support and energise this venture and then help create a system supported by my Area Director. This might involve facilitating either funding or a place like 49 North Street, making plans and developing services in collaboration with people who use services, always with the mind-set of asking: what is it that the people in that area want, what are the needs of the area and the demographics? It just so happened that we had that kind of ethos in the arts here and the people around helped to make it happen, the alchemy of the diversity and groups if you like. A short film funded by the Cork/Kerry Mental Health Services and directed by Aoise Tutty gives a real sense of North Street and what it is we have here as a facility; it gives an excellent sense of this development. An Open Door: A short film by Aoise Tutty about 49 North Street. You talked of a shared leadership approach in developing 49 North Street. How did you get buy-in from the health sector to make the venture a reality? Ned Kelly, the Area Director, supported the idea of getting premises in Skibbereen. We linked in with the area management team of West Cork Services, we found premises in the town and then Ned with support from Sinead Glennon allowed Kevin and I the autonomy with others to create it. There have been good outcomes and transformations; we don’t have a lot of staffing right now but I know the staff that we have care a great deal and are full of compassion – Community Mental Nurses and other Clinical Nurse Specialists to staff from the local services all contribute. It goes to show that if you make something happen by working with the people in the community, good will and Robert Putnam’s idea of social capital ring out. The exciting thing is the support we have from the people who come and attend here and they now lead the groups themselves; we have a shared leadership ethos. It’s true co-production walked and not talked. That’s something that really strikes me about 49 North Street, how everyone is developing, delivering and taking part in activities together: people in recovery, artists, health professionals, the local community. This shared leadership ethos, what does it look like on the ground? I think with the ethos of co-production, one element is about taking risks, one is about dialogue and one is about trust. So looking at some of those principles, it’s about creating a relationship or rapport and I think that’s what the mental health nurse and people in other disciplines are good at. We get together and because of the ethos nationally and the frameworks now in place in each CHO [Community Healthcare Organisation], it’s about trusting the people who are working in the services to properly listen to the people who attend services, and for the people who attend services and get care to equally listen to the people who work in the service here, and through dialogue co-production happens. So then, if someone wants to do a music project or take part in a group, we have petty cash funding, we can facilitate a few quid for petrol, here’s the kitchen and the code for the door. We’ll support you at the start and maybe then we’ll build capacity by stepping back. So very much it’s about the town, voluntary organisations and other areas saying, ‘Here’s a space that people are really open in, people are really genuine in.’ It belongs to us all. That sounds very ideal but it does really seem to work. People care for the premises, they care for what they do, and more importantly they care for each other, and the dialogue and the trust we have with people who use services has taken on another level that I haven’t seen previously. You become partners in delivering services. Now there are always going to be inequities and challenges in terms of funding and tax systems. But what we can do locally is we can help each other through that and get over those challenges and work together. Stephen Covey, a leadership management guru in America, he said you need three things to make a quality change in health: the passion, the skillset and the toolset. The tools are all around us, they’re everywhere. But to have the passion, that’s the key. People want support, they want to belong to something, they want to be minded by each other and that works both ways. It seems it’s very much about removing those hierarchies that traditionally existed in the mental health system. When I work here, I can thankfully put to one side all the lexicons we use in health and be Declan and that is the key to being here. Because when you strip away words like ‘pathways,’ ‘referrals,’ ‘risk assessment,’ ‘co-production,’ ‘the arts in mental health,’ all those terms, you get to the core of things: I want to listen to … I’d like a space to go to … I want to be creative … I like taking to John … I get on with Mary … When is that group going to be on? … I’d love to do something with paint … I love that song. When you take away frames and language, people are the same. There’s a very good book called The Starfish and The Spider  that describes shared leadership and explores the shadow side of a hierarchy. It uses the spider as a metaphor, so you cut off the head and the spider dies. You look at a starfish and you cut off one of its five legs, it’ll grow back. So this interview is with me but it’s not about Declan, it’s about North Street, it’s not about Kevin either, it’s North Street, it’s everyone. It’s all the legs and strands. You take one or two out and everything still works or grows elsewhere. The people that use the space look after the place themselves and take individual responsibility. So to me, shared leadership is really important, it’s not about telling anyone what to do, it’s inspiring others and finding a space and creating something where they can be themselves, self-develop, develop out of illness, develop out of crisis, develop out of trauma. I’m very conscious I’m only part of a system and part of a team. Without my line manager, Ned Kelly, I couldn’t do any of this. He allows me the remit to get on with it. It’s great to have someone who believes in the community, believes in mental health coming out of asylums. Both my parents were psychiatric nurses; they worked in Our Lady’s Hospital in Cork. To see that change from there to here, it’s phenomenal as a culture. However please note that it’s a different time now and everything is relative – you cannot compare like with like and thousands of people have contributed to the changes we now have and see in Mental Health. We’ve made absolute huge strides; I mean to work with the arts, to collaborate with people around creativity – as Thomas Moore would say in his book Care of the Soul, it’s about the soul and the heart and the mind and the gut. The language and lexicons we use are vitally important and set the scene. We are caught between compliance versus compassion sometimes. I’m always very conscious in the historical sense that the system that I was trained in as a psychiatric nurse 30 years ago in Cambridge was again that of the time. I lived in the hospital, in a nurses’ home. We really tried our best and we believed our best at the time. I think it’s very easy for me and for people to say, ‘That was a very dark age.’ That’s where everyone was. You have to look at the culture and the context, society etc. We had then also huge compassion. The former Clinical Director of West Cork Mental Health Services, Dr. Pat Bracken, said that the arts bring a different way of understanding and responding to problems. From working with artists, what have you learned from their approaches? What I’ve learned is that it’s okay to have an idea; it’s okay whatever works for you. It’s fantastic that things aren’t closed; it’s brilliant to think outside the box. The more I’ve seen of working with artists, it’s almost like it goes back to archetypal ways of being. We’re people and we try and understand the world and maybe sometimes we try and understand it in terms of schools of thought and paradigms – put a butterfly into a cage, it might have a very good life and be well-minded and cared for but it’s not free. When you take people out of schools of thought and particular things that they have to do, people can be themselves. And when people can be themselves, it allows them to unblock, it allows them to understand, it allows them to accept, it allows them to have self-care and compassion. So when the person’s energy is inspired by themselves, there’s nothing better. For me, that’s what I’ve seen the arts do. When I was working as an integrative psychotherapist, I would often say to people to bring their guitar or they might want to paint in the session, or we might use something to be creative. Things were just worked through in a different process and it didn’t seem to be as formal or as clinical. I would always integrate my nurse hat and my life experience / recovery journey and my psychotherapy training. There is a time for the clinical space and it is vital. I see every day the need for it – where people need other people to mind them because at times people need to be safe and feel safe and we need systems that are safe. 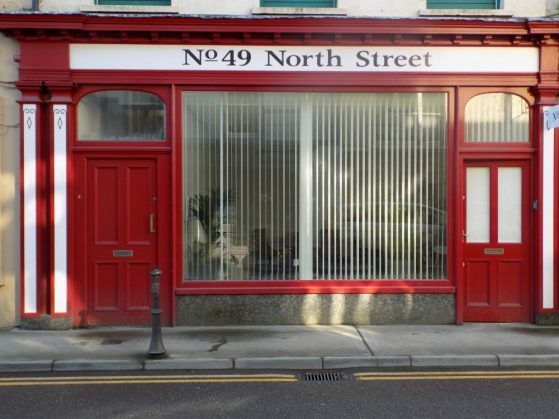 As far as I know, 49 North Street is the only dedicated space for creativity and wellness funded by the HSE in Ireland. What are the learnings that could be brought elsewhere? How can we make more 49 North Streets happen? I think it’s the passion of the people that are involved and it’s the way of working. It’s back to the mind-set, the skillset and the tool set. You do need to find the right mix of people, I think that’s really important, and that can take a bit of time, both in a service and in a town and in any system. No, you raise a really salient point. That’s often seen as a core problem, that healthcare systems rely on replicable models and that the arts can’t provide these. So how do you convince healthcare providers to bring the arts into a system where evidence-based approaches are prioritised? I think there are many research articles that prove working in a creative way has better outcomes in patient mental health and wellbeing. I’m always very uncomfortable with two sides because I don’t think there are two sides to this, an arts side and a mental health side. The key to what makes North Street work is that we have an ethos here that both can live harmoniously, be in dialogue and be comfortable in the same space without being critical or sceptical or unwilling to share ideas and co-create. You can try other ways of doing things; you don’t always have to stay in your own silo. And coming out of that, I experience and empathise with what it’s like for the other. We were at a conference and I talked to people there about some of the challenges of working co-productively. How do we capture this and research it? And there was almost a sense of ‘don’t’ because you’ll end up with something in a jar for people to look at. You’ll take that butterfly and you’ll put him in another garden and it doesn’t work. We like to think that there is some kind of synchronicity, chemical process going on that’s far beyond my understanding. I don’t know what it is and that to me is the difference between tacit and implicit knowledge. It feels right, it’s intuitive, I can’t write it down; you just get it, you just feel it. And that’s what artists do. And I think that’s what I’ve learned from them. So now as a nurse who supports others, I try and feel my way around intuitively and do things that are right. And you know what, when you do the right thing, the next right thing happens. It’s a tough balance but it’s being able to hold that balance. It’s the hardest place to be, the not knowing. [Psychoanalyst Wilfred] Bion talks about it in the therapeutic space, the unknowing, that uncomfortableness, that’s where the edge of growth comes from, being able to hold the two. And I think the more we have people that balance arts and mental health, rather than are sceptical or in different camps, the more that we have a leg in both camps the better off we’ll be. Not easy, but I know from here it can be done because I see it. Sapouna, Lydia & Pamer, Rudie ‘Beyond Diagnosis: The transformative potential of the arts in mental health recovery’ (2012, Arts + Minds / University College Cork). The six pillars of recovery are set out in ‘A Recovery Approach within the Irish Mental Health Services: A Framework for Development’ (Mental Health Commission, 2008). Ann O’Connor is currently Head of Arts Participation at the Arts Council. James O’Flynn’s band The Claddagh Rogues is one of the initiatives under the umbrella of 49 North Street. 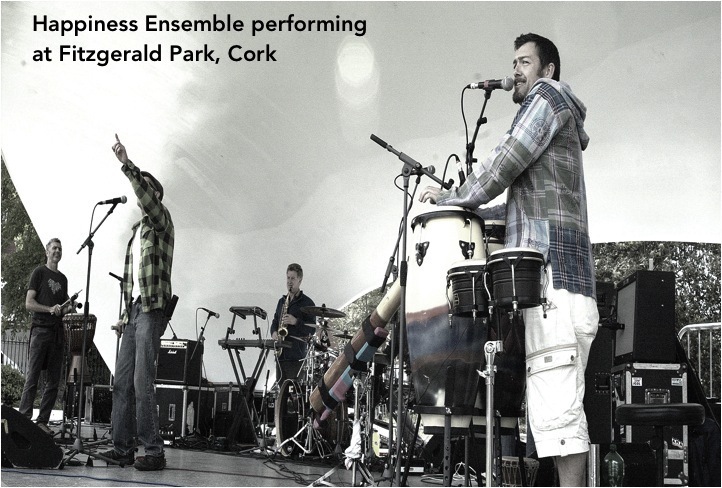 James’s music is informed by personal experiences of homelessness, addiction, mental health difficulties and recovery. 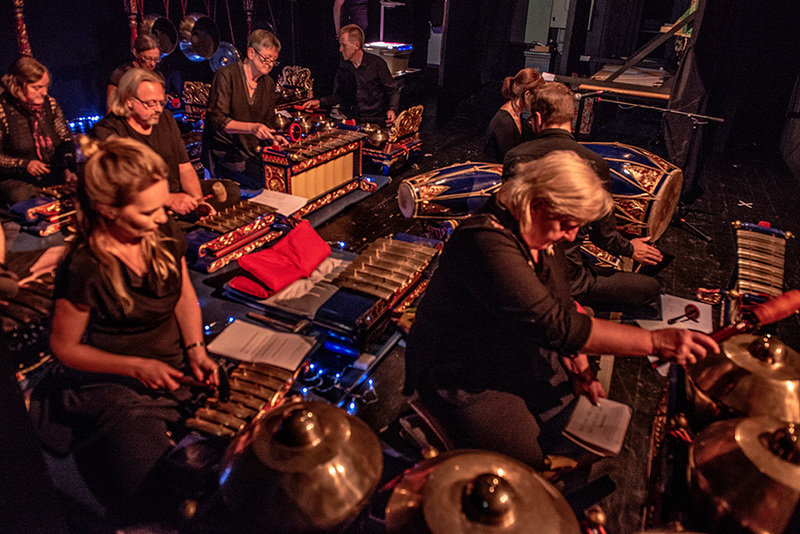 Peter Fitzpatrick leads The Happiness Ensemble, a music group where service users and providers leave their labels at the door and enter as musicians, whatever their level of experience. The Starfish and the Spider: The Unstoppable Power of Leaderless Organizations (Ori Brafman and Rod Beckstrom, 2006).